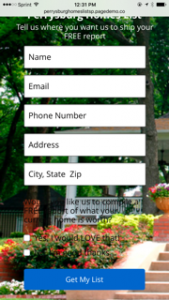 Lead generation for realtors is one of our specialties. And the way we do it is probably different than what you are used to in today's market. We generate our leads in specific markets. This is a screenshot of the squeeze page for Perrysburg homes for sale campaign by Metro Marketer. 50% of the visitors to this page, completely filled out the informaition. This is just a quick walk through of a basic campaign, for one representative market. We have many different types of campaigns, depending on objectives. We call this one the Homes List campaign. It is primarily a buyer campaign, but is very effective at finding sellers as well. Metro Marketer conversion stats for the 8 day Perrysburg homes campaign. 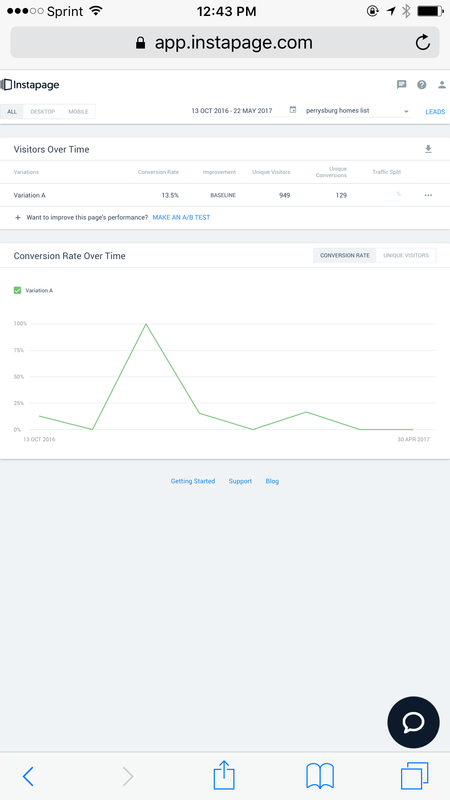 These show the conversion rate for the actual Facebook ads. 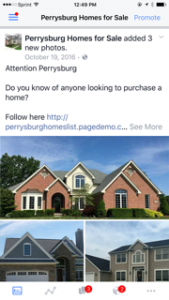 Because we use Facebook as the traffic source for these real estate campaigns, we are able to focus down and target the most likely buyers for any given market. Face it. Whether you use Facebook regularly or hate it vehemently, Facebook is the most used social media outlet. And the Facebook people know EVERYTHING about their users. That may seem scary - and it is - but we can take advantage of this and waste less advertising money marketing to the wrong people. 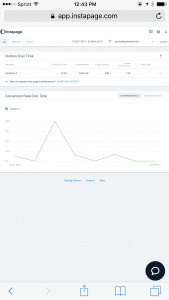 This is the actual ad that we ran traffic to for 8 days and generated 98 leads - 49 of which gave us everything we asked for in a two step qualifying funnel. We start the marketing process by creating individual Facebook Community pages for each of our selected markets. We set the pages up, optimize them for the proper market, add content and create engagement. Then we use these pages to post our ads. The image to the left is the actual ad/post that we used to generate 98 leads in eight days for one of our local markets. This screenshot shows the actual leads that we generated during the 8 day Perrysburg homes for sale campaign. What do 98 real estate leads look like? The screenshot to the left is the results page from our follow up system for the 8 day campaign. We recommend running this basic campaign for the entire month. We tell our clients that they should expect 100-150 leads in a typical month. National statistics tell us that the average real estate agent will close 1-3% of the leads she or he receive. Would an additional one, two, three or more extra closings every month change your life? And that's if you are average. Chances are, you are better than that. Our marketing can help improve your results even more. And those leads that don't close right away, go into a structured follow up system, so that when they are ready to buy, they'll most likely think of you. In a few months, your pipeline will have hundreds of leads, that are interested in your market and know that you can help them. Think of how this system can change your listing presentation. 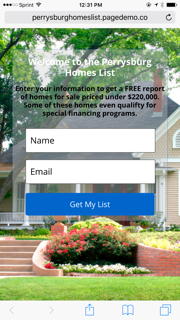 You have a list of ready buyers. You have a marketing system that works in your market. You are the professional that they want selling their home! If you have any questions about this program, or other campaigns for you specifically, email me at metromarketer1@gmail.com or message me - Charlie Turner - on Facebook or call or text me directly at 419-215-7824. Is Your Business a Nightmare on Main Street? Copyright © 2018 AmFor Media.